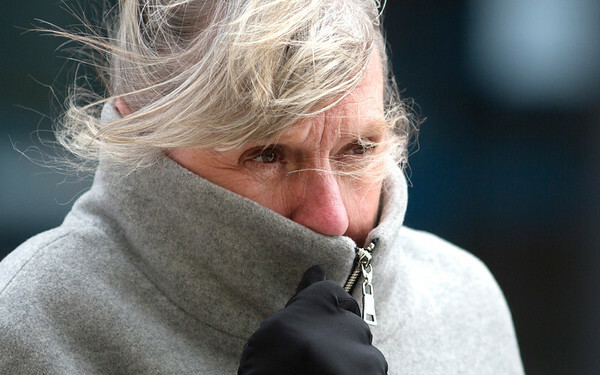 Kolleen Weinrich bundles up against the wind while crossing Front Street in Traverse City on Tuesday. This winter hasn't seen much snow but more is expected. "It is what it is," Weinrich said of the recent cold weather. "That's why we dress for it."